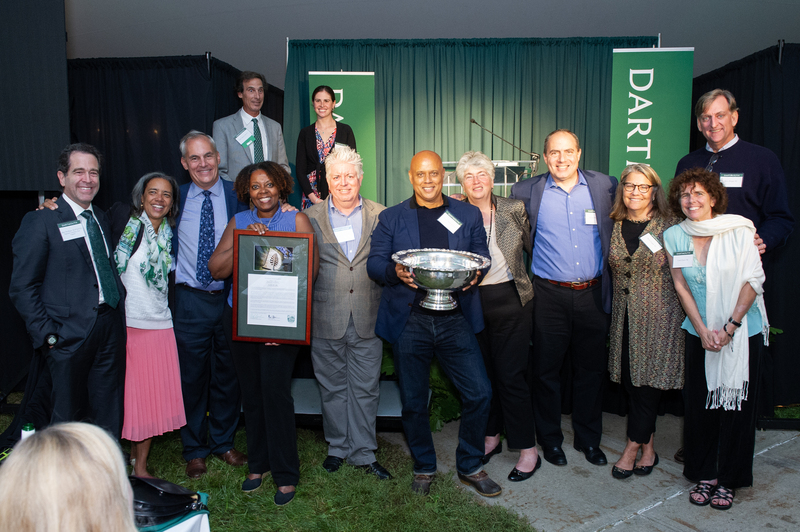 Dartmouth’s class volunteers are known far and wide for their commitment and loyalty to their alma mater – but even in that esteemed company, some deserve special recognition. Those dedicated volunteers were honored September 21 at a gala dinner held during Class Officers Weekend. The annual conference features training and discussions geared towards the challenges and opportunities faced by class leadership – this year, nearly 400 volunteers came back to Hanover. The Classes of 2017 and 1961 took home Class of the Year (for classes 25 years out and younger and 26 years out and older, respectively), while the Class of 1982 was named Reunion Class of the Year for its spectacular June celebration. Class Officer awardees included Presidents of the Year Jo Weingarten Golub ’98, Patricia E. Berry ’81, and Robert M. Goldbloom ’81. View the full list of award winners, see photos of the weekend, and give a rouse for their service!